Why choose St Clare’s for your study abroad experience? 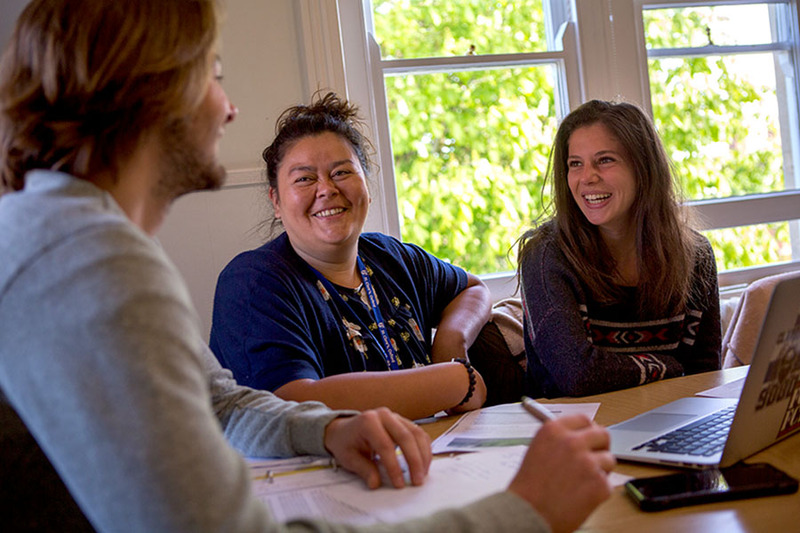 We have been running our Undergraduate Programme for over 40 years. Our study abroad experience is designed to enable undergraduates (or those on a gap year) to have a comprehensive study abroad experience while earning 15 to 18 units of transferable credit. 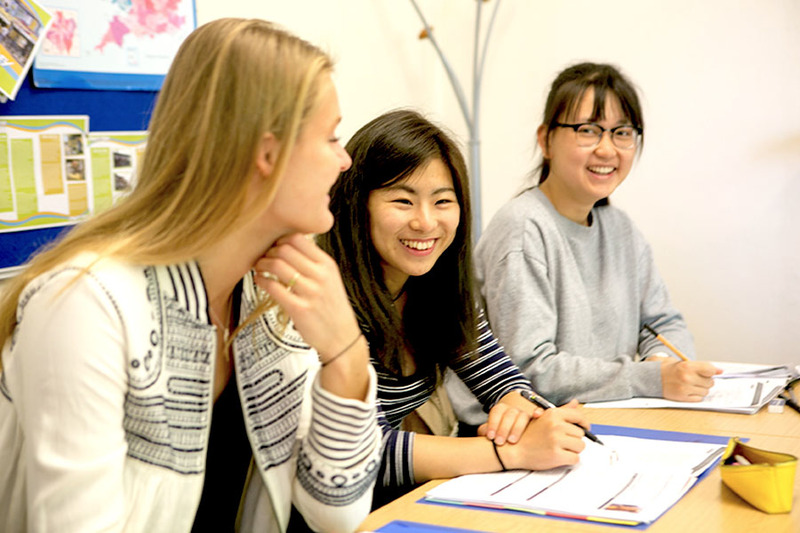 Every year we are joined by a range of nationalities who choose to study with us so they can gain a first-class education and an exceptional cultural experience. You will benefit from living in Oxford, one of the most famous and historic centres of learning in England, and be able to immerse yourself in our international community. Our college is home to 100 students from over 20 countries. We understand that you want to stay on track with your major to meet your core study requirements, so we provide a flexible combination of courses. You can select up to 5 course options, each course carries 3 units of credit. Our classes are similar to the Oxbridge style of teaching. You can choose 4 seminar courses taught in small classes (maximum 12 students) and 1 tutorial class. Tutorials are offered to encourage you to develop independent study skills. 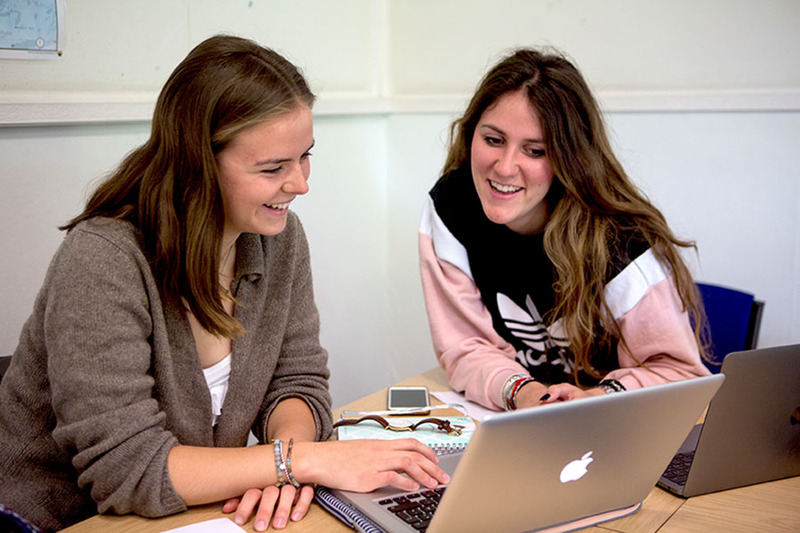 They are included in your timetable every week to provide more dedicated study support as they consist of up to two students. Our tutorial option enables us to run a course just for you. We will work with you home university to create and run courses to meet your study requirements. You will live and learn in one of the most inspiring academic cities in the world! Your study abroad programme will give you the opportunity to actively learn, fully engage and really experience Oxford. Please fill in this form to submit an enquiry about our Undergraduate Programme. What is it like to live here? Living in Oxford, a city of culture and learning dating back to medieval times, will be an experience you will never forget. Our campus is the opposite of your student experience at your own university. Often when our students leave they explain with enthusiasm that although it was very different when they first arrived they soon embraced this difference and said that it made them all the more appreciative of their time here. We offer you the chance to live with other students from around the world not just with other American students from universities like your own. We have 4 houses exclusively for our adults students all an easy walk to the International College at the Bardwell Road Campus. These stylish Victorian and Edwardian homes are located in Summertown, the most elegant part of the city. Students clearly value living and socialising with students from around the world. 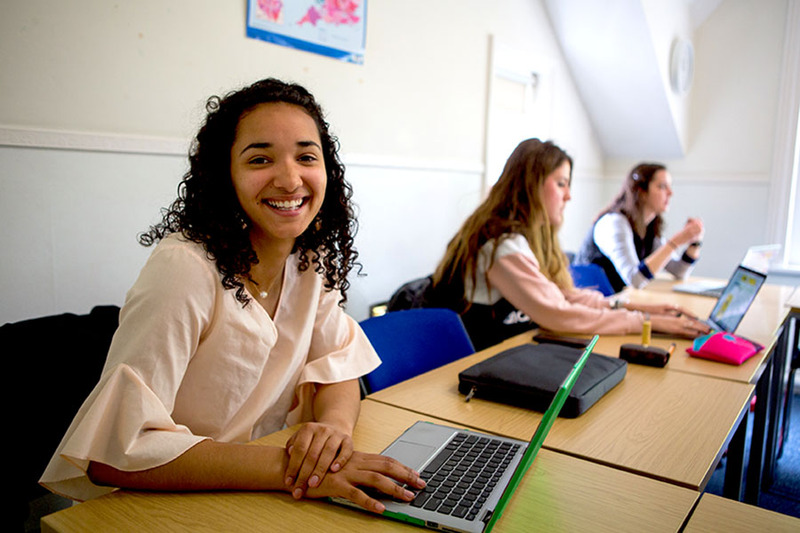 Our students enjoy the fact that they do not live in houses with just American students; they can be sharing a room with someone from Italy or Poland, Brazil or Belgium or making dinner for students visiting from other houses. This is all the more enriching and is the whole ethos of our study abroad programme. Have a look at our college houses – you could live here! If you are attending one of our affiliate organisations or if you attend another US university, please visit the Study Abroad Office at your home institution to discuss your plans. If you are applying independently, please contact our advisors to discuss your plans and request an application pack. We have two application deadlines: the end of July (for the autumn semester), and mid-November (for the spring semester). If you are a late applicant contact us to discuss availability and eligibility. Please make sure you complete the application form in full before returning it by mail or email. It is very important that you read carefully through all of the course choices detailed in the Courses Information section as well as the Tutorial options and Language Tutorials before completing the course registration section. Be sure to include your first choice for courses (4 Cores and 1 Tutorial/Language Tutorial); your alternative choices (at least 3 Cores and 1 Tutorial/language Tutorial); and if a course is an absolute requirement (e.g. for next semester graduation) please indicate this clearly. Before completing the accommodation options section of the application form, please consult the accommodation section of this site. Once your application form with all the necessary documents, fees and deposits have been received your application will be considered by the Director of Studies (Academic). All your course choices and supporting academic references will be checked. If you are offered a place on the programme you will receive an official Letter of Acceptance and a Study Certificate confirming your programme and the dates. You will also receive a comprehensive information pack giving details of orientation, arrival procedures, trips and excursions, campus facilities and city information. Please note: it is your responsibility to ensure that your current institution authorises appropriate credit transfer for the courses you have taken.